Get ready to join the fight. Super Smash Bros. Ultimate was finally revealed at Nintendo’s E3 press conference earlier today, bringing back every single character from every Smash Bros. game in one neat package. With so many different characters available, Nintendo still had the time to add three brand new characters into the game for players to choose from. The Inklings were originally announced for the game alongside Mario and Link during the intial teaser some months ago. Daisy from the Super Mario games and Ridley from the Metroid universe are entirely new additions to the roster. Daisy will act as an alternative skin for Peach and use her moveset. She effectively becomes a clone character for Peach as an alternative skin. As for Ridley, however, the character final joins the Smash Bros. roster after years of fan requests to add him into the game. 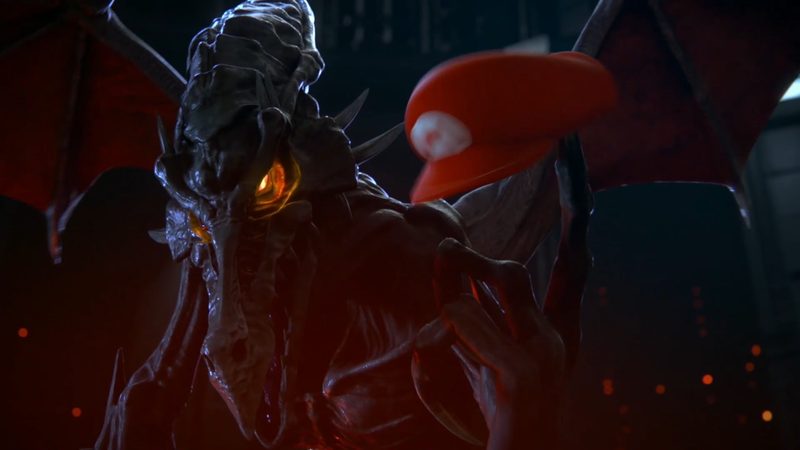 Masahiro Sakurai, the director and creator of Smash Bros., has said in previous interviews that the team would need to shrink Ridley down from his massive size to include him in a Smash Bros. title. Sakurai was against shrinking Ridley down, however. It seems that Sakurai has found a compromise. He is definitely smaller then he would usually look, but still feels like a huge towering threat. Smash Bros. Ultimate is coming to Nintendo Switch on Dec. 7.